When you drive your Mazda through the streets of San Leandro, you can’t avoid a smile crossing your face. 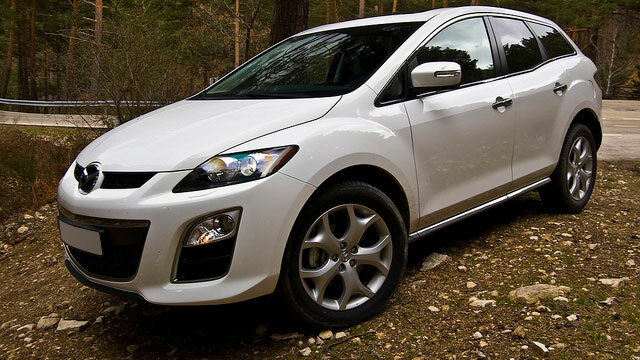 With a focus on invigorating performance, fuel efficiency, and sporty looks, your Mazda is fun to drive on all fronts. Keep your Mazda running like new with regular maintenance and Mazda repairs that will come up from time to time. Wright’s Automotive Service is your best choice for quality Mazda repairs and service in San Leandro and the rest of Alameda County. Since 1977, our dedicated team has provided honest auto repairs for all makes including Mazda while demonstrating customer service with integrity. At Wright’s Automotive Service, your Mazda repairs are in good hands. Our technicians are ASE-Certified and have decades of experience in all makes including Mazda, proving their competence and capabilities. They use high-tech tools and equipment to accurately diagnose and repair all Mazda concerns, from premature clutch failures on your Mazda3 to Miata A/C compressor problems and timing chain issues on your CX-7. We know you rely on your Mazda to operate dependably every time you use it. For that reason, we only use original equipment and high-quality aftermarket parts for all Mazda repairs at Wright’s Automotive Service. For reliable Mazda repairs in San Leandro, visit Wright’s Automotive Service – your first choice for quality and convenience. Give us a call or use our convenient online appointment form to schedule your visit today!